Aug 24 - The South Arkansas Symphony is joined by guitarist Lily Afshar for music of Rodrigo and more. Aug. 17 - From the 2017 Shreveport Summer Music Festival, music of Schubert, Corigliano and more. Aug. 10 - A program of music by Saint-Saens and Dvorak, performed by the Marshall Symphony. Featuring cellist Tina Guo. Aug 3 - Jeans N Classics joins the Marshall Symphony for a performance of the music of Queen. July 27 - A South Arkansas Symphony concert featuring violinist Natasha Korsakova playing the First Violin Concerto of Philip Glass. Also music of Copland and Poling. 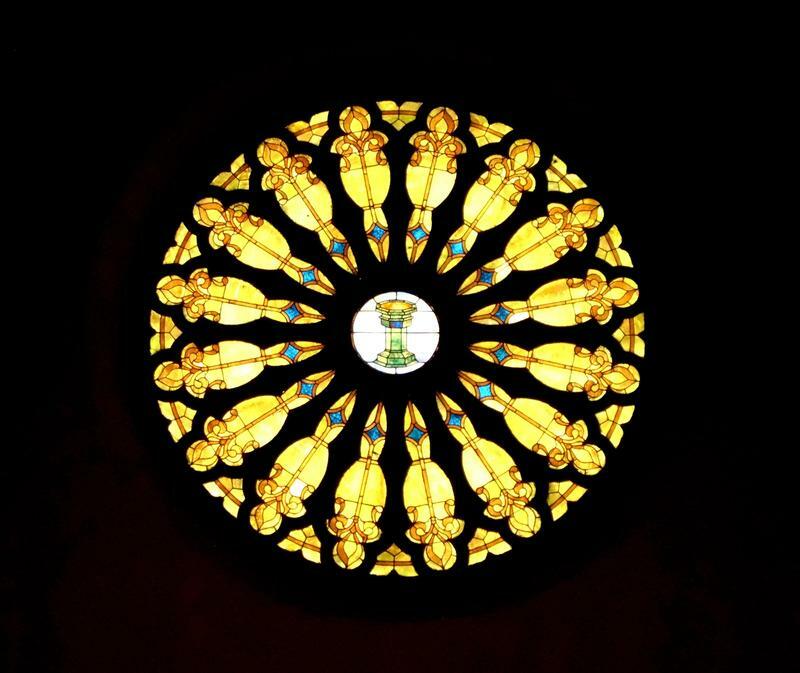 July 20 - A program of chamber music performed by the Emerson String Quartet, recorded at FUMC Shreveport. July 13 - A program of patriotic music and more, by the South Arkansas Symphony and guests. May 18 - From the 2017 Shreveport Summer Music Festival, music of Schubert, Corigliano and more. May 11 - The Marshall Symphony performs a concert from last year featuring music of Rachmaninoff and Stravinsky. 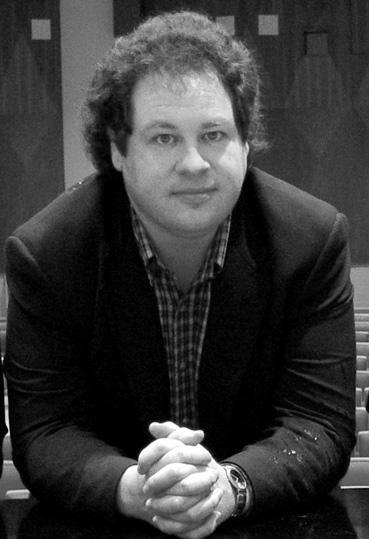 May 4 - Music of Gulda and Schubert, featuring cellist John Henry Crawford. April 27 - Music of Bolling and Schubert on this chamber concert by members of the Shreveport Symphony, joined by cellist John Henry Crawford and pianist Tzu-Yin Huang. April 20 - Chamber music from the Shreveport Symphony featuring the Wind Serenade of Dvorak. Feb. 23 - From the archives - a South Arkansas Symphony performance of Beethoven's Symphony #9 featuring choruses and soloists from throughout the region. Feb. 9 - Music of Bolling and Schubert on this chamber concert by members of the Shreveport Symphony, joined by cellist John Henry Crawford and pianist Tzu-Yin Huang. January 26, 2018 - Ricardo Morales, principal clarinetist with the Philadelphia Orchestra, performs a concert of chamber music with members of the Shreveport Symphony. January 19, 2018 - A program of wind chamber music featuring Dvorak's Serenade for Winds, performed by members of the Shreveport Symphony. January 12, 2018 - The Shreveport Symphony performs a concert dedicated to the music of John Williams. January 5, 2018 - The Shreveport Symphony performs music of Mozart and Mendelssohn. Guest clarinetist Ricardo Morales is the featured artist. December 1, 2017 - A program of Beethoven and Schuman as the Shreveport Symphony is joined by pianist Aristo Sham and the Centenary College Choir. November 17, 2017 - Ricardo Morales, principal clarinetist with the Philadelphia Orchestra, performs a concert of chamber music with members of the Shreveport Symphony. November 10, 2017 - Duo pianists Anderson and Roe perform a concert of chamber music. November 3, 2017 - The Shreveport Symphony performs Kermit Poling's score to the ballet Peter Pan, as performed with the Shreveport Metropolitan Ballet under the direction of the composer. October 27, 2017 - Internationally renown cellist Tina Guo performs Saint Saens' Cello Concerto with the Marshall Symphony. October 20, 2017 - From the 2017 Shreveport Summer Music Festival, music of Schubert, Corigliano and more. 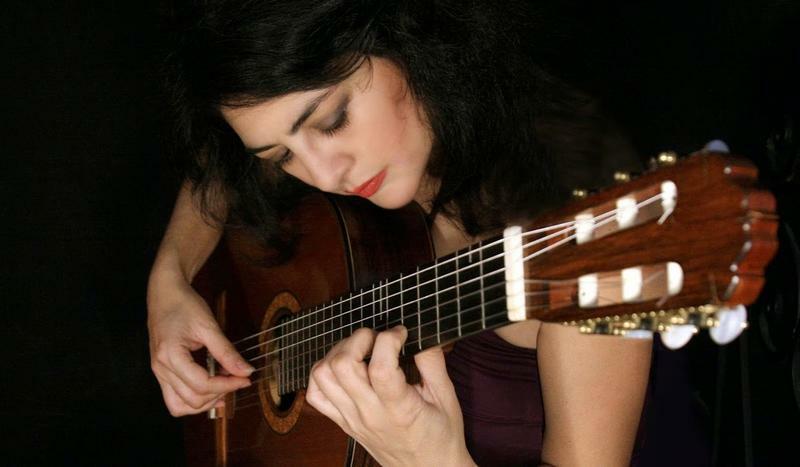 October 13 - The South Arkansas Symphony is joined by guitarist Lily Afshar for music of Rodrigo and more. September 22, 2017 - The Shreveport Symphony performs Kermit Poling's score to the ballet Peter Pan, as performed with the Shreveport Metropolitan Ballet under the direction of the composer. September 8, 2017 - The Marshall Symphony performs Stravinsky's Firebird Suite, plus music of Rachmaninoff. September 1, 2017 - A summer pops program presented by the South Arkansas Symphony. August 18, 2017 - Franck and Dvorak piano quintets performed by pianist Yue Chu with the West Edge String Quartet. August 11, 2017 - a duo piano recital by guest artists Anderson and Roe. August 4, 2017 - A encore broadcast of the finals from this year's Nina Wideman Piano Competition, accompanied by Michael Butterman and the Shreveport Symphony. 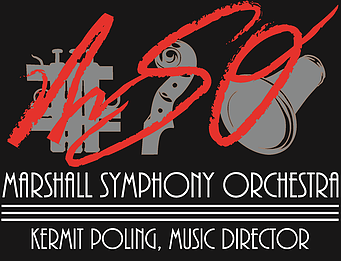 July 28, 2017 - The Marshall Symphony performs Kermit Poling's score to the silent film Tarzan, plus music of Saint-Saens and more. July 21, 2017 - Stravinsky's Firebird Suite and Rachmaninoff's Rhapsody on a Theme by Paganini from a concert by the Marshall Symphony Orchestra. July 14, 2017 - The Shreveport Symphony performs a program of orchestral favorites, including Bolero of Ravel and the Cappricio Espagnole of Rimsky-Korsakov. July 7, 2017 - From the 2017 Shreveport Summer Music Festival, music of Schubert, Corigliano and more. June 30, 2017 - for the long holiday weekend, a patriotic concert - the 2017 Symphony on the Square performed by the South Arkansas Symphony. June 23, 2017 - a program of chamber music featuring the Sextet of Beethoven, and performed by members of the Shreveport Symphony along with the Gold Medal winner of the 2015 Wideman Competition. June 9, 2017 - The Shreveport Symphony performs a concert of Beethoven and Brahms, featuring violinist BennyTseng. June 2, 2017 - Music of Mozart and Bizet, as performed by the Shreveport Symphony Orchestra, with guest soloists Elissa Koljonen and Roberto Diaz. May 26- The 2015 Symphony on the Square performed by the South Arkansas Symphony. May 19, 2017 - Stravinsky's Firebird Suite plus music of Rachmaninoff performed by the Marshall Symphony Orchestra. April 28 - The Marshall Symphony is joined by cellist Tina Guo for a concert including music of Dvorak and Saint Saens. April 21 - The South Arkansas Symphony performs Rachmaninoff's Symphonic Dances. Featured soloist is pianist Colton Peltier. March 24 - The Marshall Symphony performs a concert of the music of Queen, along with Jeans N Classics. March 17, 2017 - The Shreveport Symphony presents a program of Beethoven and Brahms featuring violinist Benny Tseng. March 3, 2017 - The South Arkansas Symphony is joined by guest classical guitarist Lily Afshar for a program including the music of Rodrigo. February 24, 2017 - A program of chamber music performed by members of the Shreveport Symphony featuring the music of Brahms. February 17, 2017 - Carmina Burana, performed by the South Arkansas Symphony and regional choruses. February 10 - A program of piano chamber music performed by duo pianists Anderson and Roe. February 3, 2017 - a program of chamber music featuring the Sextet of Beethoven, and performed by members of the Shreveport Symphony along with the Gold Medal winner of the 2015 Wideman Competition. January 20 - Special programming preempting. January 13 - The South Arkansas Symphony performs a program of music by Rachmaninoff. December 30 - Byron Stripling performs his Holiday concert with the Shreveport Symphony Orchestra. December 23, 2016 - High School Choir from around the region join the South Arkansas Symphony for a Holiday Pops concert, recorded early in December. December 16, 2016 - The 2015 Holiday Pops concert by the Shreveport Symphony, featuring singers Doug LeBrecque and LaKisha Jones, along with the ArkLaTex Childrens' Choir. December 9, 2016 - Colton Peltier joins the South Arkansas Symphony for an all-Rachmaninoff program featuring the 2nd piano concerto and the Symphonic Dances. December 2, 2016 - The Shreveport Symphony is joined by duo pianists Anderson and Roe for a program of Rachmaninoff, Poulenc, Stravinsky and more. November 18, 2016 - The South Arkansas Symphony performs music of Beethoven and Brahms, featuring violinist Stephanie Chase. November 11, 2016 - A program of Patriotic music and other favorites from the 2015 Symphony on the Square by the South Arkansas Symphony. November 4, 2016 - The Shreveport Symphony presents a chamber music concert featuring the piano quintet of Brahms. Oct 21, 2016 - The Shreveport Summer Music Festival - performance from June of 2016 featuring guitarist Giovanni de Chiaro for music of Mendelssohn, Poling and more. A duo piano recital celebrating the rededication of the Van Cliburn Auditorium in Shreveport. The Shreveport Symphony performs Sibelius' Symphony #5 and area choirs join the symphony for a performance of the Lux Aeterna by Morton Loridsen. Sept. 9, 2016 - The Shreveport Symphony celebrates the 65th anniversary of the Wideman Piano Competition with concertos by Shostakovich and Grieg. Also, the World Premiere of Kermit Poling's "Shreveport Symphony". Sept 2, 2016 - The Shreveport Symphony performs music of John Wiliams, Mussorgsky and more from a Halloween concert recorded in October, 2015. Aug. 26, 2016 -The Marshall Symphony performs music of Dvorak and Saint-Saens. Special guest is cellist Tina Guo. Aug, 19, 2016 - The South Arkansas Symphony, performing music of Britten and Copland. Aug 12, 2016 - The Marshall Symphony and Jeans N Classics playing the music of Queen. July 29, 2016 - The Shreveport Symphony performs music by Debussy, Respighi and more. July 22, 2016 - The South Arkansas Symphony presents guitarist Lily Afshar, performing music of Rodrigo. July 15, 2016 - From the Shreveport Summer Music Festival, Guitarist Giovanni de Chiaro performs the world premiere of Kermit Poling's Guitar Concerto (Concierto de Chiaro) and music of Mendelssohn. Pianists Tomer Gewirztman and Stanislav Khristenko perform a chamber concert for the dedication of the Van Cliburn auditorium at the State Exhibit Museum. The Shreveport Symphony celebrates the 65th anniversary of the Wideman Piano Competition with concertos by Shostakovich and Grieg. Also, the World Premiere of Kermit Poling's "Shreveport Symphony". The South Arkansas Symphony performs music of Beethoven and Brahms, featuring violinist Stephanie Chase. June 10, 2016 - Carmina Burana, as performed by regional choirs, soloists and the South Arkansas Symphony. Due to illness, no programs produced between April 15 and June 3. The Marshall Symphony performs music of Dvorak and Saint-Saens. Special guest is cellist Tina Guo. The South Arkansas Symphony performs music of Poling, Gorecki and Rodrigo in a concert featuring guest guitarist Lily Afshar. Music of Poling, Hovhaness and more performed by the Shreveport Summer Music Festival. Music of Britten, Copland and Holst, including the Serenade for Tenor, Horn and Strings performed by Eric Christopher Perry and Tom Hundemer and the South Arkansas Symphony Orchestra. A Shreveport Symphony concert featuring music of Haydn, Beethoven and Mendelssohn, highlighting several soloists from within the orchestra and guest violinist William Hagen. Carmina Burana featuring the Rapides Symphony. Music of Liszt and Grieg are featured in a program of piano music celebrating the dedication of the Van Cliburn Auditorium at the Louisiana State Exhibit Museum. Pianist Gabriella Montero is the featured guest artist on a program featuring music of Rachmaninoff and more. Music of Dukas, Mussorgsky, Williams and more in a Halloween spectacular by the Shreveport Symphony Orchestra. December 25, 2015 - The 2015 Holiday Pops concert by the Shreveport Symphony, featuring singers Doug LeBrecque and LaKisha Jones, along with the ArkLaTex Childrens' Choir. December 18, 2015 - The 2015 Holiday Pops concert by the South Arkansas Symphony, featuring Nancy Carey and a childrens' chorus, conducted by Kermit Poling. December 11, 2015 - The 2014 Holiday Pops concert by the Shreveport Symphony, featuring Gary Mauer, Elizabeth Southard and the Holiday Pops Chorus, conducted by Kermit Poling. December 4, 2015 - South Arkansas Symphony. Concertmaster Elizabeth O'Bannon performs the Four Seasons of Vivaldi. November 20, 2015 - Music of Dukas, Mussorgsky, Williams and more in a Halloween spectacular by the Shreveport Symphony Orchestra. November 13, 2015 - The music of Queen, performed by Jeans N Classics along with the Marshall Symphony Orchestra and the ETBU University Singers. November 6, 2015 - A program of Russian music featuring guest pianist Gabriella Montero playing the music of Rachmaninoff. September 11, 2015 - A program of music highlighting Tchaikovsky, performed by the Shreveport Symphony. Vadim Gluzman is featured violin soloist. September 4, 2015 - Violinist Stephanie Chase performs the Violin Concerto of Brahms with the South Arkansas Symphony. Beethoven's Symphony #5 is also included. Carmina Burana, performed by the South Arkansas Symphony. Broadway star Craig Schulman performs Heroes, Monsters and Madmen with the Shreveport Symphony Orchestra. An encore performance from the 2014 Shreveport Summer Music Festival. Music of Tchaikovsky highlights this concert by the Shreveport Symphony Orchestra. Patriotic music and more from the 2015 Symphony on the Square performed by the South Arkansas Symphony Orchestra. Music of Dvorak on a Shreveport Symphony program featuring guest cellist John-Henry Crawford. John Henry Crawford is featured along with 4 other top musicians from the region in a chamber music concert of the double cello quintet of Schubert. Holst's The Planets and other music featured on this concert by the South Arkansas Symphony. John Henry Crawford is guest soloist on this Shreveport Symphony program that features the music of Dvorak and Liadov. Music from the Texas Street Arts Series - Pianist Yue Chu performs with the West Edge String Quartet. Music of Schumann, Copland and more on this Shreveport Symphony program celebrating Spring. 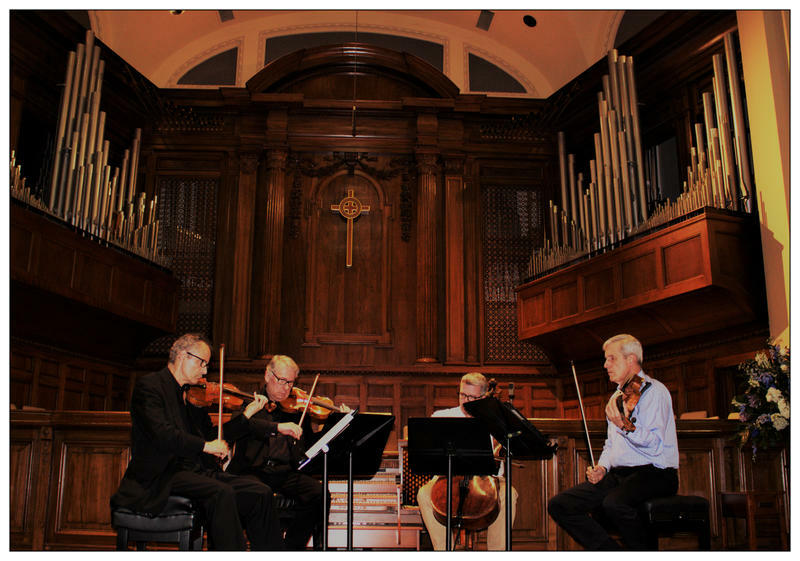 From the 2014 Shreveport Summer Music Festival, a program of music by Galuppi, Handel, Kernis and Poling. A South Arkansas Symphony program featuring the music of Bach and more. Cellist John Henry Crawford is featured in performance with the Shreveport Symphony Orchestra on a program of music by Bartok and Dvorak. Gold Medal Pianist Yevgeny Yontov is featured in performance with the Shreveport Symphony Orchestra on a program of music by Mozart and Beethoven. Guitarist John De Chiaro is featured in a performance from the Shreveport Summer Music Festival. Rimsky Korsakov's Sheherezade is the featured work on this concert by the Shreveport Symphony. Airs Friday, August 31, 2018, at 12 noon. Five Young Singers Named 2018 Winners of America’s Most Prestigious Vocal Competition, The Metropolitan Opera’s National Council Auditions. They will perform on this concert before a live audience. Airs Friday, August 24, 2018, at 12 noon. This week we'll hear a concert from the 2016 season by the South Arkansas Symphony Orchestra with music by Kermit Poling, his Orchestra Suite No. 3 "Visions of the Virgin." The concert opnes with Three Pieces in the Old Style by Henryk Mikołaj Górecki and will also feature guitarist Lily Afshar in the Fantasía para un gentilhombre by Rodrigo. Kermit Poling conducts. Airs Friday, August 17, 2018, at 12 noon. This week we'll hear a concert from the 2017 Shreveport Summer Music Festival featuring Wenzel Pichl's Sinfonia in B-Flat, Voyage (1983) by John Corigliano, the Fantasia On a Theme of Thomas Tallis for Double-Stringed Orchestra by Ralph Vaughan Williams, and Franz Schubert's Symphony No.5 in B Flat Major. Sally Horak is the Solo Flutist. Leonard Kacenjar and Kermit Poling conduct. Regional Symphony Broadcast: The Marshall Symphony with cellist Tina Guo. Airs Friday, August 10, 2018, at 12 noon. The Marshall Symphony is featured this week with guest cellist Tina Guo for a concert that opens with Mikhail Glinka's overture to Ruslan and Lyudmila. Next cellist Tina Guo takes the stage for the Cello Concerto No. 1 in A minor, Op. 33 by Saint-Saens and the concert concludes with Antonín Dvořák's Symphony No. 9 in E minor, "From The New World." Kermit Poling conducts.